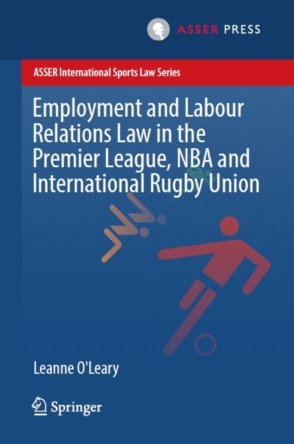 Even though NCAs have addressed a series of interesting competition cases (notably dealing with the regulatory aspects of sport) during the last ten years, the academic literature has largely overlooked these developments. This is unfortunate since all stakeholders (sports organisations, clubs, practitioners, etc.) increasingly need to learn from pressing issues arising in national cases and enforcement decisions. In a series of blog posts we will explore these unknown territories of the application of EU competition law to sport. We kick-start the series with a recent investigation of the Swedish National Competition Authority (NCA) into a so-called duty of loyalty clause applied by the Swedish Bodybuilding and Fitness Federation (Svenska Kroppskulturförbundet, SKKF). The SKKF is the only national member of the International Bodybuilding Federation (IFBB) and organises various championships in the sport of bodybuilding and fitness in Sweden. It is essential for Swedish clubs, individual athletes, and officials to be a member of the SKKF as this is prerequisite for participation in IFBB international competitions. The IFBB’s rules and regulations form an integral part of the SKKF’s Statutes. According to the SKKF’s rules, members who compete or otherwise participate in contests that are not approved or authorised by the SKFF or IFBB can be fined or suspended (i.e. the duty of loyalty clause). Athletes who have taken part in an unsanctioned event must also test for doping, at their own expenses, before they are allowed to compete at SKKF or IFBB events again. In October 2013, BMR Sport Nutrition AB, a manufacturer of nutritional and bodybuilding supplements that also occasionally organises unsanctioned bodybuilding and fitness events in Sweden, filed a complaint before the NCA alleging that this rule violates Article 101 TFEU and Chapter 2, Article 1 of the Swedish Competition Act as it prevents event organisers from effectively competing with the SKKF (i.e. they are deprived from the chance to gather the human resources necessary for a successful event). The complainant submitted evidence that the threat of a fine and/or the withdrawal of their license by the SKKF effectively deterred athletes from participating in non-sanctioned events. The Swedish bodybuilding case follows a 2011 decision of the NCA, which ordered the Swedish Automobile Sports Federation (Svenska Bilsportförbundet, SBF) to abolish its rules preventing members from participating in motorsport events not authorized by the KKF. On appeal by SBF, the Swedish Market Court upheld the decision in its entirety. This “precedent” case dealt with two duty of loyalty clauses in the SBF’s Common Rules prohibiting officials and contestants, licensed by the SBF, to officiate or participate in motor sport events other than those organised by the SBF or its member clubs. A violation of these provisions could result in a fine and/or withdrawal of the licence to officiate or compete in SBF events. The NCA and the Market Court established that the contested rules constituted a decision by an association of undertakings. While the NCA had only applied national competition law, the Market Court, having defined the organisation of motorsport competitions in Sweden as the relevant product market, found that trade between the Member States was affected and therefore also applied Article 101 TFEU. According to the Court, the mere existence of the rules considerably distorted competition because they led to an absolute ban for SBF members to participate in non-sanctioned events. It concluded that, even if the rules would be regarded as serving a legitimate objective, the total ban could not be considered proportional to achieving such an objective. Moreover, the Court concluded that the restriction of competition could not benefit from an exemption under Article 101(3) TFEU or Chapter 2, Article 1 of the Swedish Competition Act. While the Market Court’s judgment is far from innovative and carefully followed the proportionality test adopted by the Court of Justice in Meca-Medina, the case drew much media attention and raised concerns and criticism from the Swedish sports movement. Having demonstrated the remedial potential of EU competition law to challenge organisational sporting rules, it was only a matter of time before further national enforcement action would result from this case. In a statement responding to the filing of the complaint by BMR Sport Nutrition AB, the chairman of the SKKF contested the apparent analogy with the SBF (motorsport) case. He essentially put forward three reasons. First, the SKKF is a non-profit organisation that pursues an aim in the general interest (i.e. the promotion of sport) and reinvests all its income, which is insufficient to cover its costs, in its sports activities, e.g. to fund education and training activities, doping tests, and travel expenses of the national team. This precludes the assumption that it pursues an economic activity. It follows that the SKKF cannot be regarded as an undertaking for the purposes of competition law (contrary to commercially successful sports associations). Second, the SKKF does not act independently of the will of its members. Similar to trade unions, member athletes voluntarily submit themselves to the applicable regulations when they join a member club. They can move to change certain rules if they find, in a true democratic spirit, a majority for such change. Alternatively, member athletes can choose to leave their club and join another association. Third, the right of freedom of association excludes the rule-making powers of the SKKF from the ambit of the competition rules. Nevertheless, following several meetings between the NCA and the SKKF, the latter committed no longer to suspend or fine athletes, coaches, officials or judges that participate in non-sanctioned events. The requirement that they must test for doping, at their own expense, was not abolished. According to the SKFF, this requirement was necessary to comply with the IFBB anti-doping rules, which conform to the provisions of the World Anti-Doping Code. Given the commitment of the SKKF to no longer apply the duty of loyalty clause, the NCA decided to close the investigation without concluding whether competition law had been infringed. Those familiar with sports-related competition law cases will surely recognize the arguments of the chairman of the SKKF to assert immunity from the application of the competition rules. While they have been tried and tested many times, also before the Union courts, these arguments keep popping up. So let’s take a closer at why they are not accepted. Regarding the claim that the SKKF is a non-profit organisation that exclusively aims to promote the development of the sport, it must be recalled that – if there still was any doubt - in Meca-Medina the Court of Justice made clear that the qualification of a rule as “purely sporting” was insufficient to remove the body adopting that rule (or the person engaging in the activity covered by it) from the scope of the Treaty. It thus must be examined, irrespective of the nature of the rule, whether the specific requirements of the various provisions of the Treaty are met. For the purpose of the competition rules, the notion of “undertaking” is a core jurisdictional element. According to established case law, this concept covers “any entity engaged in an economic activity regardless of the legal status of the entity or the way in which it is financed”. In an attempt to escape the bite of the competition rules, various other sports associations have time and again asserted that they cannot be regarded as “undertakings” because their objective is not the pursuit of economic interests. Even when only considering their regulatory functions, this reasoning finds no support in the case law. The Court of Justice has consistently held that the concept of undertaking does not presuppose a profit-making intention. The fact that entities are non-profit making has no effect on their classification as undertakings. Similarly, the fact that entities pursue cultural or social activities does not in itself prevent these activities from being regarded as economic. In the case at hand, it is clear that in addition to the SKKF, even assuming that it organises bodybuilding and fitness events without seeking to make profit, other entities like BMR Sport Nutrition AB are also engaged in that activity (and do seek to make a profit). The SKKF offers goods or services on a market in competition with others. The success or economic survival of the SKKF ultimately depends on it being able to impose its services to the detriment of those offered by other event organisers. Consequently, the SKKF must be considered as an undertaking engaged in the markets for the organisation and marketing of bodybuilding and fitness events. Regarding the somewhat chucklesome claim that the SKKF should be qualified as a trade union (or other professional association) that cannot act independently of the will of its members, it is sufficient to stress that Article 101 TFEU also applies to “associations of undertakings”. A federation like the SKKF, the beacon of democracy it may be, is not an association of employees but (also) of member clubs that engage in economic activities. Hence, the result of the delimitation between the federation acting “in its own right” or “merely as an executive organ of an agreement between its members” is irrelevant: Article 101 TFEU still applies to its regulations. Regarding the claim based on the principle of freedom of association, indeed protected in the Swedish constitution as well as in the EU legal order, it is difficult to see how the duty of loyalty clause could be considered an inevitable result thereof. In any event, the Court of Justice has made clear that this right cannot be so absolute as to afford sports federations’ complete immunity from EU law. In other words, the need to guarantee sports’ right of self-regulation cannot be a blank check to avoid scrutiny of measures that may conceal the pursuit of economic interest. Provided that its rules are proportional to a legitimate objective, SKKF should have nothing to fear from the competition rules. So contrary to what the chairman of the SKKF contented, the analogy between its rule and the contested rule in the SBF (motorsport) case was accurate. A confrontation with this inconvenient truth was sufficient to convince the SKKF to commit itself to no longer suspend or fine athletes, coaches, officials or judges for participating in non-sanctioned competitions. That the requirement of a doping test (for those having participated in competing events) could remain clearly illustrates that competition law will leave unscratched restrictive sporting rules that are deemed inherent and proportionate to the organisation and proper conduct of sport. 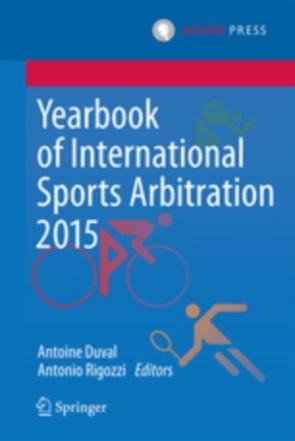 It almost makes you wonder what all the fuss is about when competition law confronts the world of sport. Participation in an event or competition includes (but is not limited to!) competing, guest posing, giving a seminar, lecture or similar presentation, judging, officiating, allowing the use of one’s name and/or likeness for promotional purposes, and/or taking part in a non-IFBB sanctioned competition or event in any other way, shape or form. To the IFBB and all other European member federations, who have to the author’s knowledge not decided to no longer enforce or abolish this rule: beware! The SKKF notified its member athletes and clubs of the changes via its newsletter and website. Case C-41/90 Höfner and Elser  ECR I-1979, para. 21. See e.g. Case C-222/04 Ministero dell'Economia e delle Finanze v Cassa di Risparmio di Firenze SpA and others  ECR I-289; Case C-475/99 Firma Ambulanz Glöckner v Landkreis Südwestpfalz  ECR I-8089; Joined Cases 209/78 to 215/78 and 218/78 Van Landewyck v Commission  ECR 3125; C-244/94 Fédération Française des Sociétés d’Assurances and others v Ministère de l'Agriculture  ECR I-4013; Joined Cases C-115/97 to C-117/07 Brentjens’ Handelsonderneming BV v Stichting Bedrijfspensioenfonds voor de Handel in Bouwmaterialen  ECR I-6025. See e.g. Joined case C-180/98 to C-184/98 Pavel Pavlov and Others v Stichting Pensioenfonds Medische Specialisten  ECR I-6451; Case C‑218/00 Cisal  ECR I‑691. or more specific project names that would be searchable? Sounds like it would be worth writing up.